2 Proper hand wash curtain tulle - what you need to know? 4 How to return the dazzling whiteness of your curtains? It is difficult to imagine a cozy and tidy room, in which the windows would not hang tulle. This attribute, irreplaceable in many houses and apartments, has long gained its great popularity due to its simplicity, practicality and attractive appearance. Unfortunately, blindingly white tulle loses its whiteness over time. This fact makes people wonder how to wash the tulle so that it turns white. Some even throw away the old tulle and get a new one, without even thinking about how to properly erase the tulle so that it is white. No need to hang up extra costs, because you can wash the fabric very easily and quickly - this guide will help you learn how to wash the tulle so that it is white, and whether you can wash the tulle in the washing machine. Let's start! Like any other things and products, before washing the tulle curtains, they must be carefully prepared for this procedure. It’s easy to do - just gently remove the tulle from the windows, straighten the fabric and knock it out carefully to get rid of the dust. If, before washing the tulle, it is not cleaned of dust, in the process of washing it will only turn black and will not bleach at all, as we need. It is best to knock out tulle outdoors or on the balcony. Now that the tulle has been prepared, you need to think about how best to wash the tulle - in a washing machine or with your hands. Here, people usually break up into two camps - some are washed by hands and strongly oppose machine washing, others repeat exactly the opposite. The fact is that there is no fundamental difference between these two options - the tulle can be subjected to automatic washing without any danger, it is only important to know in which mode to wash the tulle. Of course, handwashing will allow you to thoroughly process individual contaminants, but this will take time. For this reason, choose for yourself what wash to wash tulle on - use a typewriter or do it yourself. Proper hand wash curtain tulle - what you need to know? Soak. In order to soak the dirt, you must soak the product before washing the tulle. Take a capacious container (a basin is best suited), pour warm (no more than 40 C) water into it and stir a large amount of salt in it - 100 grams per liter. After that, thoroughly mix the solution until smooth. Now put in the prepared solution tulle and leave for a few hours. Before washing the kapron tulle, after soaking it must be wrung out and rinsed well. Washing. After soaking, you can proceed to the wash itself. Take the same basin, in which the soaking took place, pour warm water and add a suitable detergent, stir until smooth. Start washing! How to wash white tulle with your hands? The main thing is not to rub it hard and do not squeeze it - the fabric requires careful care. To reduce the risk of tissue damage and make washing more efficient, before washing white tulle, add a small amount of table vinegar to the washing solution. Rinsing. When hand washing is over, the tulle must be rinsed thoroughly. You can add a small amount of blue to the rinse water - it will give the tulle a dazzling white light and even shine. Now you know how to wash the tulle with your hands. Despite the fact that this procedure will take more time than the automatic washing, the negative impact on the fabric is much less, as well as the risks of spoiling something. It's time to figure out how to wash the tulle in a washing machine, and what rules should be followed in order to do everything right. Before you wash the tulle properly in the machine, put it in special bags for washing. So you can significantly reduce the likelihood of damage to the product, as well as make washing more efficient. 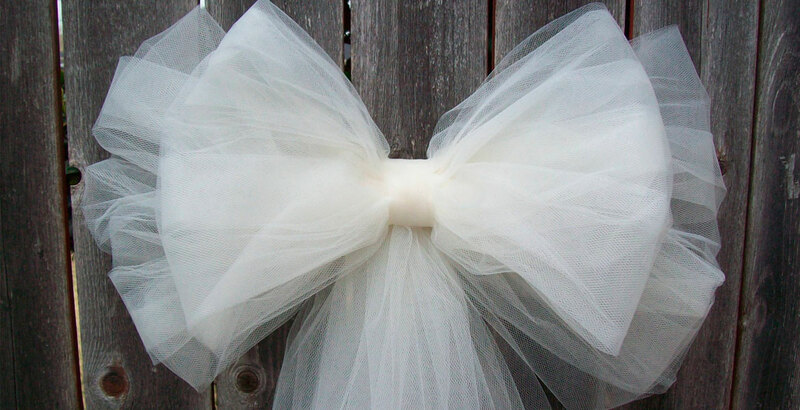 How to wash the tulle so that it was white? Use only special products for delicate washing. The use of cheap or unsuitable detergents can have exactly the opposite effect. If you want to bleach the fabric, before washing the tulle in the machine, add a little oxygen-containing bleach. In no case can not use chlorine bleach, as they not only damage the fabric, but also often give it an unpleasant yellowish and greenish tint, which spoils the whole look. Do not forget to turn on the additional rinse mode before washing the tulle in a typewriter. Spin before washing the tulle in the car, it is best to turn it off, or set the most minimal. What mode to wash the tulle? The temperature must be set no higher than 40 degrees, choose either manual or delicate wash mode. Tulle fabric is delicate, and the trip to it should be delicate. Is it possible to wash tulle at 90 degrees? Not recommended, as the product can be permanently damaged. How often should the washing be done in a washing machine? It is recommended not to run the product and wash it at least 2 once a year in order to maintain not only an attractive appearance, but also to preserve its whiteness. How to return the dazzling whiteness of your curtains? Soak the curtains in a solution of salt in warm water. It is enough to hold the tulle for several hours in such a solution in order to get rid of light yellowness. Dust should be removed before soaking. If the effect of using this method is not very pronounced, you can arrange a longer soak. Use a good oxygen bleach. You can add it to the machine tray before washing the tulle veil in the machine, or dilute it in water and soak your tulle in the prepared solution. You can breathe easy - now you know how to wash a veil in a typewriter, as well as how to wash nylon tulle in a washing machine and with your hands. Do not deviate from the recommendations, always use only high-quality detergents and do not run tulle - regularly monitor its condition and wash it in time!